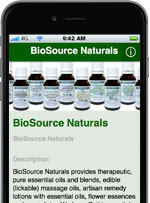 Bio Source Naturals products have been used in holistic health practices since 2006. They were developed by our founder, naturopath, Lezlie Cebulski, in an effort to help clients naturally heal body, mind and spirit in her holistic health practice. Many of the blends, sprays and lotions were originally developed as custom blends for her holistic health clients. Bio Source Naturals was founded to help others in a more global way. Our founder is a ND naturopath, EFT practitioner, BA Psychology/Human Development, Reiki Master, and Reverend. She has been a pioneer in combining EFT and aromatherapy which speed emotional repatterning. Enjoy the instant downloads, free EFT Scripts. Our gift to you! Depending on your personal perspective, you may want to focus only on the impact of chemical constituents found in the plant oils and its impact on the body and mind for aromatherapy. For consistency, this is certainly a fundamental concern. We adhere to the needs in the marketplace to provide quality oils, and we work with distillers who provide consistent, quality oils. We are also continually seeking new quality distillers and suppliers and strive to make continuous improvements in supply chain, documentation, testing and additional product line. In addition to quality oils, Bio Source Naturals acknowledges the vibratonal and spiritual qualities of the plant oils. This concept is similar to the homeopathic, vibrational flower essences that Dr. Bach created over 85 years ago in England known as Bach Flower Essences. (Bach flower essences are used in our body mind lotions). Further, how an oil is processed and by whom it is handled may also have an impact on its vibrational quality. Today, some homeopathic companies do not bar code products as the scanners may alter the vibrational quality of the products. Bio Source Naturals products does not bar codes our labels. Products are artisan made and manually packaged with love and good intentions. You may like to know that our warehouse only plays positive, uplifting music. Musical vibration can alter the healing, vibrational qualities of the oils and Reiki charged sprays. Also, positive images and energy healing symbols are on every wall in the warehouse and office to further enhance the energy imparted into our products. We believe the combination of consistent, quality products– with love and good intentions–help our customers gain better health emotionally, spiritually and physically. Our mission is to educate and serve our customers on the path to better health physically, emotionally and spiritually while providing quality aromatherapy products. We want you to be 100% happy with our products and our service. If you have concerns, please let know! Your feedback is important to us. We have a money back guarantee on all of our products. All customers experience caring, responsive customer service with quality aromatherapy products with a satisfaction guarantee of all products. To provide effective and pleasant aromatherapy products for the healing of body, mind, and spirit. To provide education and references to our customers through our website, blogs, graphics and social media, and videos. To provide the additional benefit of free EFT Tapping scripts combining essential oils and blends to clear emotional and spiritual issues. To provide quality products to our customers who are practitioners, personal care manufacturers and wholesale, retail customers so that their businesses thrive. To expand our reach to specialty gift shops so that our unique, aromatherapy products can be shared. To keep our overhead as low as possible so that more customers can affordably benefit from quality aromatherapy. 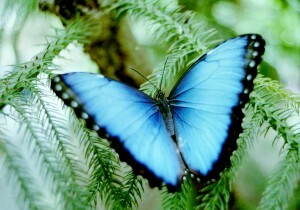 To provide additional benefit of energy healing and Reiki to those who request it. Exact shelf life varies depending on storage conditions. It is recommended that all essential oils are stored sealed in amber glass, in a dark, cool place. Following are guidelines which are understood in the essential oil industry. Many essential oils will be stable for several years from 3-8 years except for citrus oils which are stable for one to two years. Some oils actually improve with age such as patchouli, sandalwood, vetiver, myrrh, frankincense, spikenard, and rose. If an essential oil begins to appear cloudy, thicker, or if it smells more acidic, it has likely begun to oxidize and should be replaced.